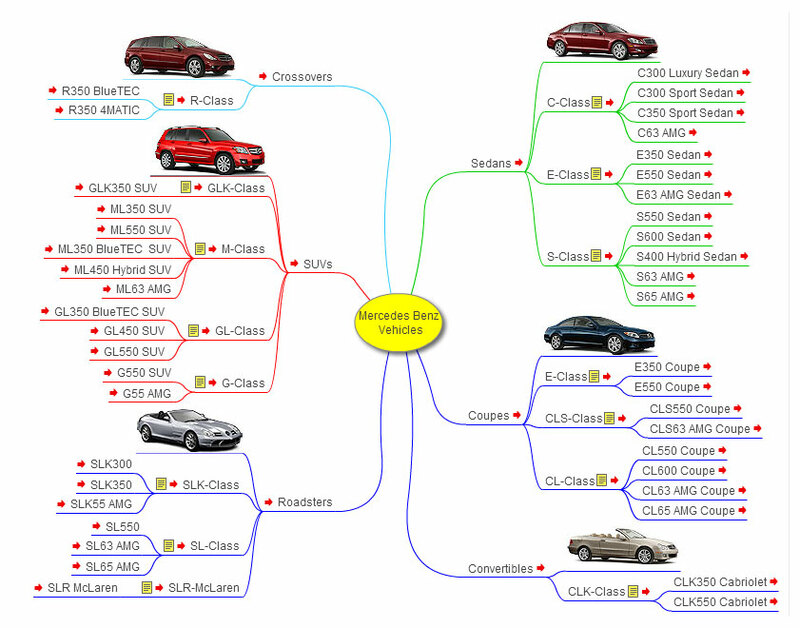 Mercedes-Benz 2010 Vehicles, Interactive Mind Map. Elearning. Mercedes Benz 2010 Vehicles, Interactive Mind Map based on Mercedes Benz USA. Mercedes-Benz USA, a Daimler company, is responsible for the distribution and marketing of Mercedes-Benz and Maybach products in the United States. The company sold 225,128 vehicles in the U.S. in 2008. MBUSA was founded in 1965. Prior to that, Mercedes-Benz cars were sold in the United States from 1957 to 1964 by Mercedes-Benz Sales, Inc., a subsidiary of the Studebaker-Packard Corporation. Graphic organizers Graphic organizers are visual representations of knowledge, concepts or ideas.Graphic organizers Graphic organizers are visual representations of knowledge, concepts or ideas.